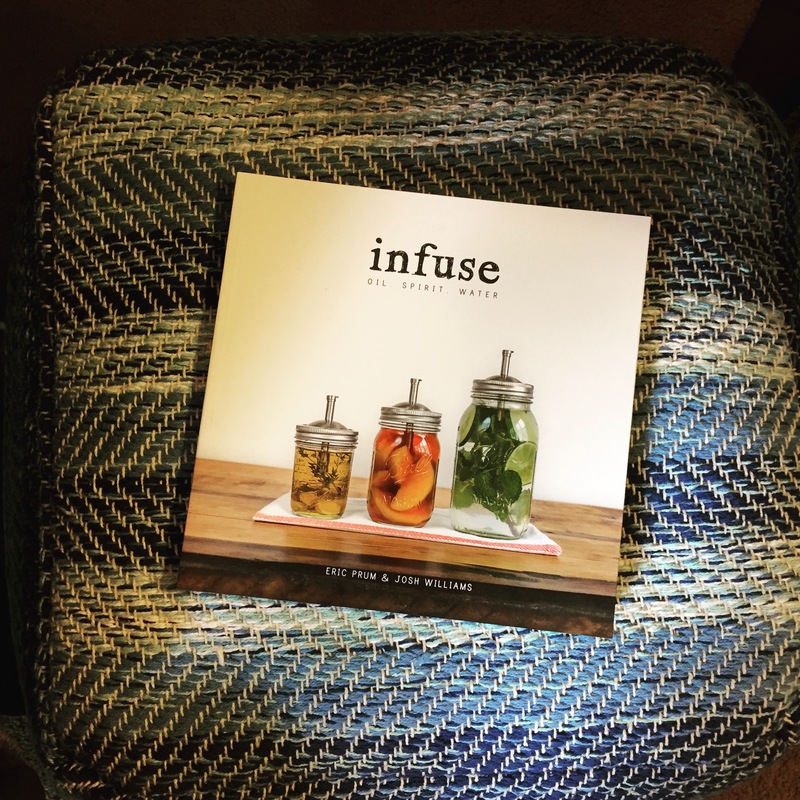 In Infuse, authors Prum & Williams talk readers through quick and long infusions and what tools and techniques you need to achieve amazing infused oils and spirits. Personally, I was excited about the infused waters now that summer is around the corner and I love sweet drinks this time of the year. As a growing home cook, I am eager to infuse my own oils to bring deeper flavors to my meals. The recipes are easy to read and follow, and big recipes that incorporate these new recipes. We may or may not have a big jar of Peach infused Bourbon in the cabinet already…only 4 weeks until we can enjoy the sweet summer flavor! I actually just looked into this book. It’s on my list now, for sure! I definitely would like to find new water infusions for Summer and homemade oil infusions sound great, too!